Designed for the time conscious traveler but still providing a comprehensive tour. Immerse yourself in the wonders of the North island including Wellington, cultural Rotorua, the beautiful Bay of Islands and cosmopolitan Auckland. (B) Breakfast. (L) Lunch. (D) Dinner. (SD) Specialty Dinner. 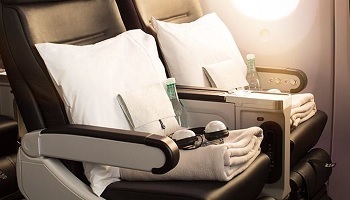 Ask about our options with Premium Economy and Business class airfare. 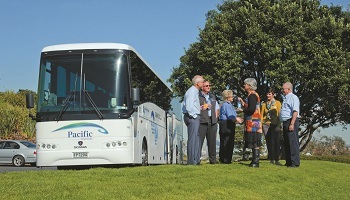 On arrival into Wellington you will be met by a Grand Pacific Tours representative who will transfer you to your hotel. A highlight this morning will be time to explore Gallipoli: A Scale of War exhibition at Te Papa, New Zealand’s National Museum. Cutting edge technology brings these stories to life through the eyes of New Zealanders who found themselves in extraordinary circumstances. Reboard your coach for an extensive city tour which showcases the history and culture on show. Enjoy free time this afternoon and this evening is also free to choose your own dining arrangements. Depart Wellington and view the snow capped peaks of Mt Ruapehu and Mt Tongariro as you travel to Lake Taupo. Visit the spectacular Huka Falls then travel along the Thermal Explorer Highway to the geothermal wonderland of Rotorua. Today begins with a Gondola ride and breakfast at the Skyline Rotorua. There is also time for a luge ride! Next stop is Agrodome for an action packed hour of farming entertainment and education that’s unlike anything you’ve seen before. Visit Te Puia to see the boiling mud pools and awesome Geysers that Rotorua is famous for. Enjoy some free time this afternoon. This evening experience an entertaining Maori Hangi and Concert. This morning depart Rotorua and travel north via Auckland. Continue via Whangarei to Paihia, situated in the heart of the beautiful Bay of Islands. Enjoy an introduction to the Bay of Islands, location of the signing of the treaty between the Maori tribes and the British. This morning cruise through the beautiful Bay of Islands on board a luxury catamaran to Cape Brett and the famous Hole in the Rock. Keep an eye out for bottlenose and common dolphins before returning via Russell to Paihia for a free afternoon. A range of optional activities are available or you may choose to relax and enjoy the pleasant atmosphere of the waterfront. Depart the Bay of Islands this morning and travel via Whangarei and Dargaville to Matakohe. Enjoy a visit and informative talk at the Kauri Museum before continuing to Auckland for a city sights tour. This evening you will be treated to a farewell dinner with your new found friends. Time to say goodbye. You’ll be transferred to the airport for your flight home after a memorable New Zealand holiday. Aspire Tip: Grand Pacific Tours home base is in Australia and as such is very popular with the Australian traveler. So when you travel on a Grand Pacific Tour, your traveling companions are most likely to be Australian which usually means for a fun time with a friendly group of like-minded travelers! 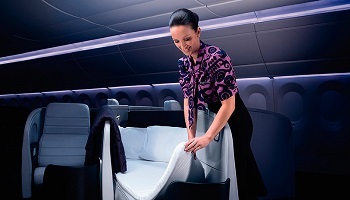 State-of-the-art Economy seats have been designed to provide a really comfortable seat for everybody. The armrest disappears right into the back of the seat so you can be more comfortable during our longhaul trips. 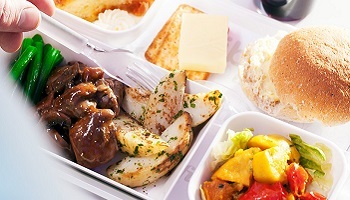 As well as the delicious and fresh meals from the kitchen, you can order tasty snacks throughout the flight, at the touch of your screen. No waiting for hours between meals - eat when you want to. And, of course, there's always a superb selection of New Zealand wines from the onboard cellar. 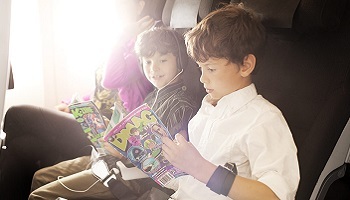 The vast selection of activities on our inflight entertainment will keep even the most fidgety of flyers engaged for the whole flight. Enjoy over 1,700 hours of content - including latest movies, TV box sets, video games, and a dedicated kids section - all on a 10.6” personal touch screen in widescreen format. If you need more, there are always the USB and iPod connections to plug in to. 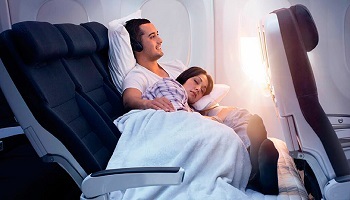 Consider upgrading Skycouch, Premium Economy or Business Class. Whether you’re a couple who’d like a bit of extra room, parents with a young child, or a parent with two restless kids, you’ll find our innovative Economy Skycouch the perfect solution. 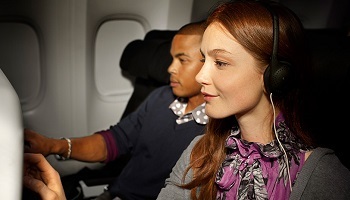 Premium Economy is about creating ample space and privacy. The design of our revolutionary Spaceseat™ means that the person sitting in front of you can’t recline into your personal space. The luxurious 22" wide leather armchair converts to a fully lie flat 6'7.5" bed - one of the longest in the sky. Even more indulgent with a thicker mattress, fluffy duvet and full size pillows. Package from pricing is based on double occupancy (2 people sharing a room) from Los Angeles or San Francisco for purchase by 31 December, 2018. Ask an Aspire consultant for pricing for other travel dates. Add-on fares are available from other cities. Certain blackout dates apply on the accommodation and tour value add offers - check with your Aspire consultant. Seats are limited and may not be available on every flight. Hotels are subject to availability. All prices reflect a discount for purchases made by cash/wire transfer/check, please see terms and conditions for credit card payments. There are no discounts for payment made by credit cards. Cancellation penalties and other restrictions apply.